Our organization is specializes in exporting, importing, wholesaling and supplying a qualitative array of Oilless Washers that is used in steel rollers and mineral machines. Designed as per the needs of our clients, the offered bush is widely appreciated by our prestigious clients. Apart from this, provided bush is designed by our vendors’ professionals using top notch quality raw material and modern technology in line with set industry standards. 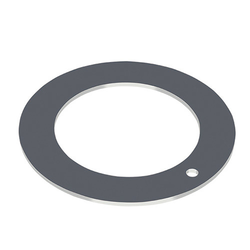 With a precise understanding of the relevant industry, we introduce ourselves as the leading exporter, importer, wholesaler and supplier of precision-designed Thrust Washers. Our provided washer is manufactured using the finest quality raw materials and innovative technology at vendor’s end. Moreover, this washer is sternly tested on pre-defined parameters in order to ensure its quality. 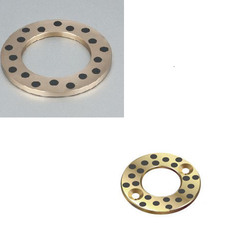 We offer this washer in variegated specifications and designs to our clients as per their needs. 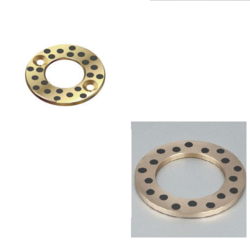 Our organization is specializes in exporting, importing, wholesaling and supplying a qualitative array of Impregnated Filled Bronze Washers that is used in steel rollers and mineral machines. Designed as per the needs of our clients, the offered bush is widely appreciated by our prestigious clients. Apart from this, provided bush is designed by our vendors’ professionals using top notch quality raw material and modern technology in line with set industry standards. Our organization is specializes in exporting, importing, wholesaling and supplying a qualitative array of Graphite Filled Bronze Washers that is used in steel rollers and mineral machines. Designed as per the needs of our clients, the offered bush is widely appreciated by our prestigious clients. Apart from this, provided bush is designed by our vendors’ professionals using top notch quality raw material and modern technology in line with set industry standards. 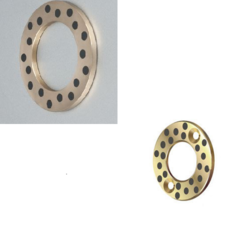 Looking for Metal Washers ?